For over twenty years, Dan Morris Design has worked with various manufacturers that wholesale product for retail. Dan has been interested in learning the process himself, having quality control of the product that bears his artwork along the way. He has been working hard to bring a product to the market, and finally, it is here!!! 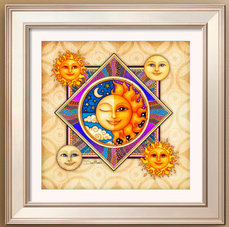 Sold through Dan's Etsy store, Ebay and Amazon you can purchase a digitally printed tapestry to decorate your wall or dorm room. Dan's art prints are also available via the same outlets. You can now purchase a Dan Morris art print! 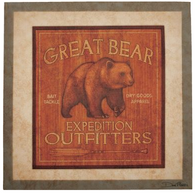 They are available through Dan's Etsy shop, where you can find his prints in various sizes. You can also customize text for personalization, which make excellent gifts. We will continue to add prints to the shop. Please visit the shop by clicking to the image on the left. 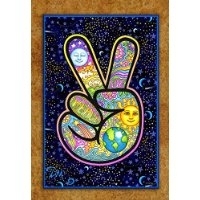 New product available: Dan Morris Music Puzzle through Colorful Images. A direct link is available by clicking on the image to the left. 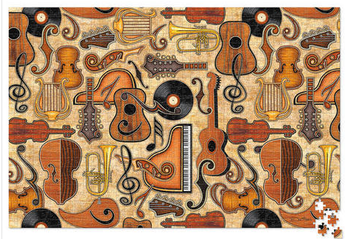 This makes a terrific gift for your music enthusiast. 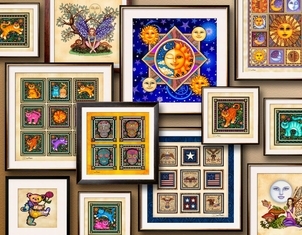 This year marks 20 years of creating original art for licensing at Dan Morris Design, Inc.! Please join us in celebrating, as we give away signed art prints throughout the year. Be sure to follow Dan on Facebook (link on pic to the left), as that is where we are holding the giveaways. You can also purchase prints from his Etsy store at using the link above. Dan has created new valentine cards for Current with the highly requested horse theme. 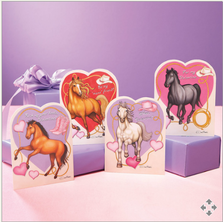 These beautiful horses are sure to be the perfect way to extend a big smile to your valentine friends. They have sold out for the 2014 season....sorry. 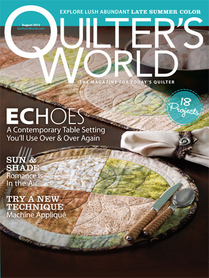 On page twelve of the October/November 2012 issue of The Quilt Magazine, you will find an article about Dan Morris. The designer profile includes visuals of Dan's art process as well as some upcoming fabric collections. A link is provided to the magazine's hompage if you are interested in ordering this issue. 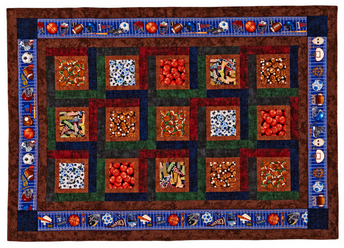 You can make this beautiful sports quilt from Dan's Sew Sporty I and Sew Sporty II fabric collections from RJR Fabrics. 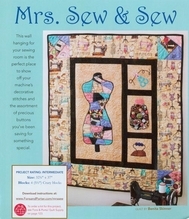 Click on the quilt to the left to receive a free downloadable quilt pattern from allpeoplequilt.com, designed by Christine Stainbrook of Project House. 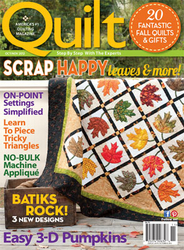 Dan's latest fabric collection is featured on the cover of the McCall's Quick Quilts, June/July 2012 issue. 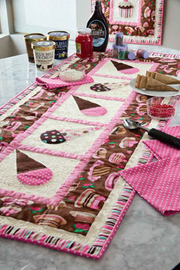 Sugar Rush, manufactured by RJR Fabrics, is used to make these fun projects. Our niece, Kylie, working on a sunflower print from the Mrs. Greenthumbs collection by RJR Fabrics. In the summer thriller, Transformers 3, Ron and Judy Witwicky sport pajamas designed by Dan Morris. 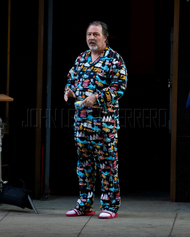 Pictured to the right is actor Kevin Dunn on the set of Transformers 3 wearing this very unexpected outfit. Look who we found wearing a bandana made from fabric designed by Dan Morris...none other than Pluto! Located in Dino Land in Disney World, Pluto's bandana features Dan's baby dinos from Timeless Treasures Fabrics. 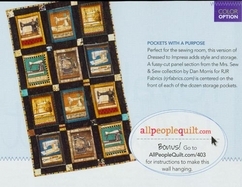 We were recently contacted by quilter, Wendy Sheppard, that her Sweet Inspirations quilt was included in the August 2012 issue of Quilter's World. 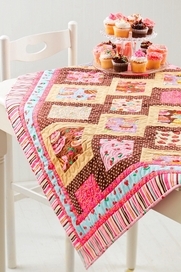 Dan's Sugar Rush fabric collection was used to make this beautiful and fun quilt. Dan recently donated some of his Mrs. Greenthumb fabric to the students in our niece, Kylie's class. Students collected pillowcases and fabric to create dresses to send to young children in Africa during a class project. We would like to thank Kylie and her classmates for all of their hard work. 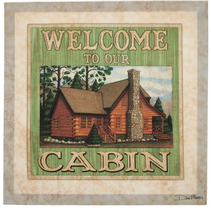 Canvas prints and wall hooks featuring twelve of Dan's lodge images are now available. 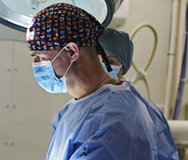 In the new ABC drama, Combat Hospital, military surgeon, Colonel Xavier Marks, is wearing a surgical cap designed by Dan Morris. We just never know where we will spot Dan's artwork. Click on the logo above to learn more about Little Dresses for Africa. 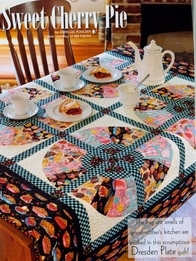 On the Road collection, designed by Dan Morris and produced by Robert Kaufman Fabrics. From the Seaport View Collection designed by Dan Morris and produced by Robert Kaufman Fabrics. All images contained on this website are copyright protected. No images may be copied or otherwise distributed without the express written permission of Dan Morris.